From the newly born through senior adulthood, we have the experience with chiropractic adjustments you can trust for your entire family. Dr. Clark has 20 years of experience helping families just like yours reach their upmost potential through pure chiropractic care! Chiropractic promotes the idea that the body has an inborn ability to heal. 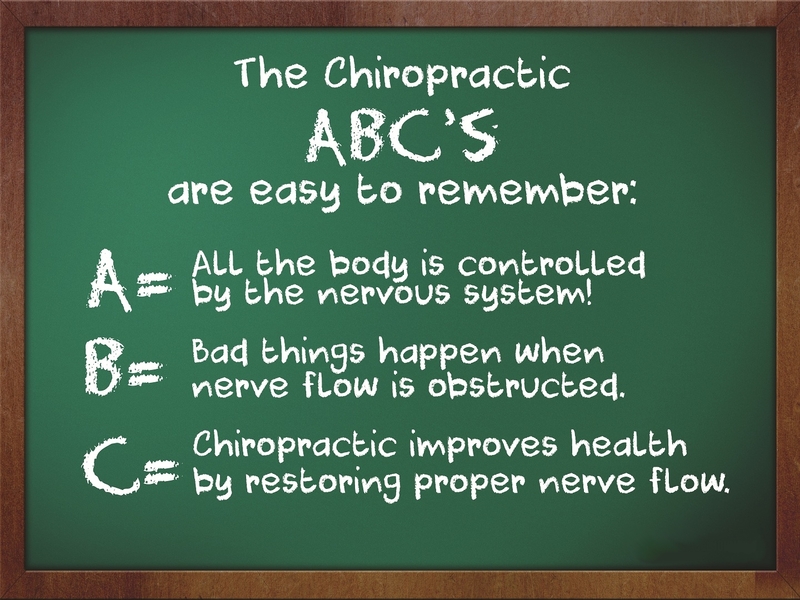 The primary role of a chiropractor is to restore and maintain the health of the spine and the nervous system in order to support the body’s natural ability to be healthy. Chiropractic care is delivered via a specific adjustment (usually done by hand) to restore integrity and function to the spinal column by correcting a subluxation. Our office is a membership office because we believe everyone is entitled to chiropractic care on a regular basis without being a financial burden. Our care is priced so almost anyone can afford to receive chiropractic, you can see our fees by clicking here. Most people associate chiropractic care with headaches, neck and back problems. Our interest in the spine is because it houses the nervous system that carries vital communications between your brain and your body. You will soon learn that chiropractic isn’t about treating neck or back pain but rather removing nerve interference called subluxation. By removing subluxations, many conditions resolve themselves. But remember, chiropractors do not heal – only you (your body) can heal you! Some consult our practice for “non-back” health problems. If the patient has vertebral subluxations, chiropractic care may be helpful. And while formal research is starting to show these specific results, we’ve had personal positive experiences with those suffering from bedwetting, asthma, colic, headaches and migraines, ADD/ADHD, diabetes, fibromyalgia, ear infections, PMS and even stomach problems. If you’ve had chiropractic care elsewhere, you already know the value of ongoing chiropractic care. We’d be honored to be your chiropractor, and we hope you take full advantage of our monthly membership programs for your whole family. We experience life through our nervous system. Those who want to optimize their health, be all that they can be and perform at their best! Begin your chiropractic care today, and please tell others about your positive experiences with our office and chiropractic care. In short, Subluxation is the term used to describe lack of proper position or motion in the joints of the spine. This will create pressure or disturbance in the nerve flow going to the organs and tissues of the body. Sometimes this will cause pain but the majority of the time it is present without pain. 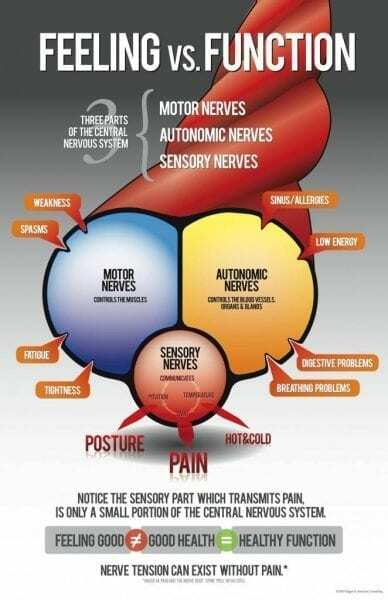 Your body won’t function properly with nerves being pinched and not sending the proper signals. The job of the chiropractor is to reduce or remove the subluxations in your spine which will restore the proper nerve flow going to the organs and tissues of your body so that you can heal. Disease is actually the end result of Dis-ease. The term Dis-ease simply means lack of ease or harmony within the body. It occurs when for any reason the Innate Intelligence of the body is not able to carry out its functions to its optimal capacity. This occurs whenever there is interference in the transmission of mental impulses in the body (nervous system primarily), resulting in less than 100% optimal function. Chiropractors are the only health care professionals trained to detect and correct subluxations, the underlying cause of dis-ease. If your family isn’t seeing a chiropractor on a regular basis, you’re not living up to your fullest health potential. Schedule an appointment today for Dr. Jeff Clark to check your family for subluxation. Only you can heal you: Chiropractors do not treat or cure disease! Chiropractors simply remove nerve interference called SUBLUXATION, allowing proper nerve flow to and from the body from the brain. When your body is cleared from subluxations it can allow for improved healing and greater health potential. The results include increased immune response (less colds and flus), the end of headaches and migraines, decreased neck and back pain and the list goes on and on. Your kids health improves too, ends colic, ear infections, bedwetting and asthma to name a few.